Enjoy chocolates and a glass of wine (or drink of your choice)! 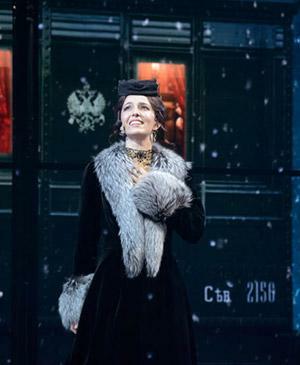 A spectacular, breathtaking, emotional, and high-tech show based on a masterpiece by Leo Tolstoy, captured Live from the Moscow Operetta Theatre. This spectacular broadcast captured live from Moscow’s Operetta Theatre, with its gorgeous score and extraordinary singing and dancing, fuses pop music and high culture in a new genre called symphonic rock musical. 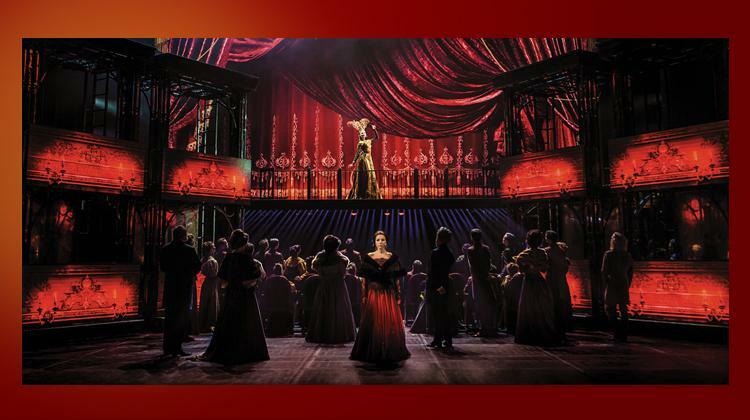 Performed by a live orchestra and reminiscent of Live from the Met Opera broadcasts or Broadway’s Les Miz, but with the addition of a subtle rock beat, the show is pure delight for the senses. The cast’s fine voices, lavish costumes, amazing sets and dramatic projections all combine for a stunning impact. And the full-fledged drama with grand themes of love, family and heartbreak are moving throughout. Despite an outstanding cast, the main character of the new musical is the train! It blinds the audience at the very start of the show, and in the finale, we face the sad fate of our heroine who falls under it’s spell and its wheels! Throughout the night, a huge wheel suspended from the ceiling turns, a reminder of the inescapable destiny and wicked fate that life offers only a one-way ticket!